Teen drivers' how-to guide on getting your license & the responsibilities of your new freedom. Take an online prep course to prepare for your state's written permit test. Classes cover everything you need to know to pass the written knowledge exam. Prepare for the learners permit test with a free practice permit test. 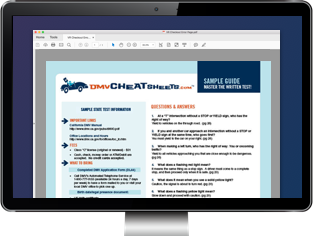 Sample exam questions will help you pass the DMV permit test the first time. Study for your written driver's license test. Permit test study guides include questions & DMV written test prep materials including traffic signs & signals. Answers to frequently asked questions about getting your driver's license, checking your license status, ordering your driving record, and more. Driving a manual transmission is tricky and requires great deal of skill. We’ll help you learn how to drive a stick in this step-by-step guide. Using hand signals while driving is an incredibly important way to stay safe on the roads. We’ll help you understand how to use hand signals. Learn about the common mistakes teen drivers make to help ensure your safety on road.